We help companies automate. The robotic and machine automation fields continue to evolve rapidly. Demands to increase productivity continue. 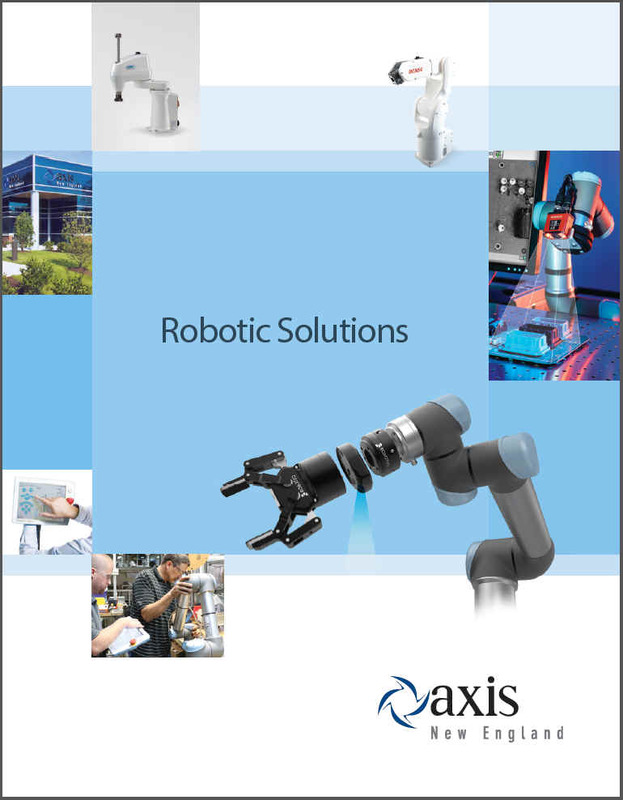 Axis provides innovative solutions to manufacturing challenges in many precision industries, including Biomedical, Semiconductor, Defense, and Precision Machining. We find ways to move parts at higher speeds and accelerations. Often, alongside this need for speed is the requirement for accuracy and repeatability. Control systems need to be flexible with an ability to grow with the changing demands of our clients. Part inspection and validation must be fast, reliable, and economical. Further, the expectation for exceptional quality has never been higher. Our quality system keeps us in check as we continue to push up the technology ladder. We spend our time learning how to apply the state of the art in automation control and provide our clients with forward-looking, dependable solutions. The Axis engineering team stands ready to help clients meet the very high automation demands placed upon them. Our Systems group will work alongside clients during the design and implementation phase of a project. The Axis Application group provides training, start-up, and on-going support for existing installations. Axis' origins date back to 1994 when the company was formed to supply factory automation solutions in the Northeast. 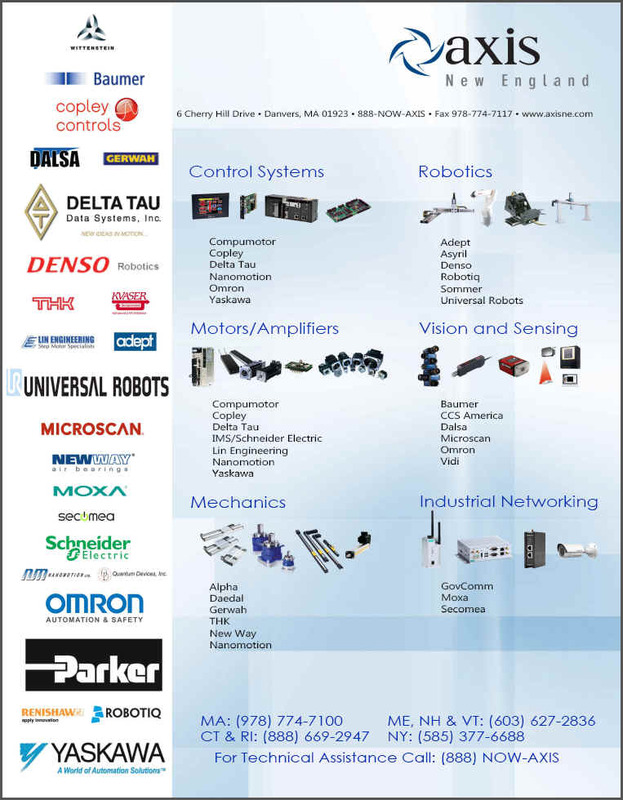 20 years later, with a continued focus on Motion Control, Robotics, and Machine Vision, we have become one of the country's largest Automation Technology Centers. Headquartered in Danvers, MA, our 20,000 sq foot facility houses our engineering, manufacturing, and service groups. A 5,000 sq foot engineering and service center located in Rochester, NY provides solutions for the upstate NY market. 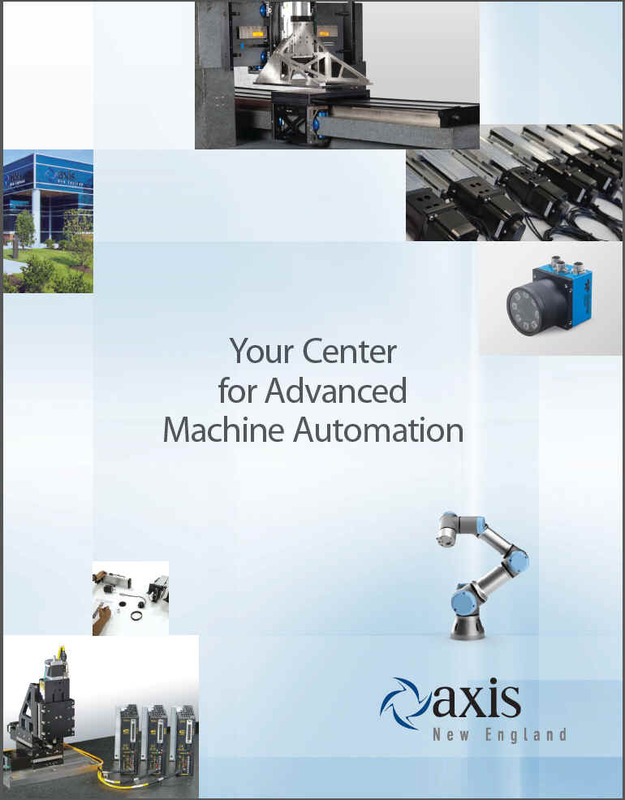 Please visit an Axis facility to see firsthand the investment we are making in the motion control and industrial automation fields. You are assured to find in our application lab a variety of creative solutions to today's most demanding factory automation challenges. Stay informed with the latest news in robotics, machine vision, and industrial automation by signing up for our monthly newsletter. You’ll also learn about upcoming Axis events and our community impact. Copyright © Axis New England. All rights reserved.